There are 1000's of manufacturers in all industries who have products or services available for you to sell and make a commission on. You don't need a products to sell, you don't have to take payments, and you don't have to ship anything. Plus, you don't have to deal with customers, returns, or refunds. An affiliate company pays you when a visitor from your website clicks on a link and is sent to the affiliate's company website and makes a purchase. Commissions vary between affiliate companies. Information and downloadable software products can average commission rates of 50% to 75%, where products or services usually bring in commission rates between 5% and 10%. 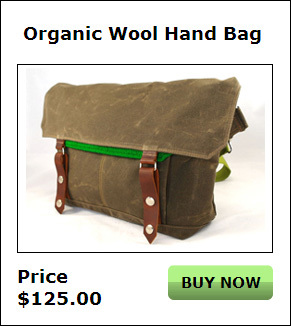 This is an example of what an affiliate product would look like in your online store. Click the BUY NOW button, and you can see how the store works. When a visitor clicks on the 'Buy Now' button they're directed to the affiliate company's website to continue with their purchase. You can search on Google for the type of products or services you want to sell. When you find the company selling it, you can call them directly. Many of these companies also have their own affiliate program allowing you to sign up on their website to promote the sale of their products or services. Your affiliate company will also give you a log in section on their website where you can keep track of your sales, and payments. There are also companies that have consolidated 1,000’s of affiliate partners under one umbrella where you can go and select the kind of products you want to promote. Three popular consolidators are; ClickBank, LinkShare and Commission Junction. ClickBank sells information and downloadable software products with commissions ranging between 40% and 75%. You can register for free on ClickBank and be accepted immediately to sell any of the products from the companies they represent. Here’s an example of a software product, offered by a company under the ClickBank umbrella, which monitors a child's activities on the web. It also protects against online predators. It’s called PC Tattletale Software. The Tattletale software costs $70.88 and the website owner receives 51% in commission. LinkShare & Commission Junction's product lines range in commission from 5% to 10%. One example of LinkShare's companies where you need to be approved for selling their unique product lines is SkyMall.com. You may have seen their product lines in magazines on various airlines. Approvals are easier to get when you create an online store already created. Affiliates provide you with banners or tracking links you can easily copy into your website. You simply copy and paste into your store which tracks your visitor purchases. When a visitor clicks on one, and is directed to your affiliate, it tracks the sale. Links can usually track returning visitors for weeks or months and you can still receive a commission if they return to make a purchase. You should ask your affiliate partner the time frame that they attribute the sale to you for returning visitors. You can feature affiliate products and services that are complimentary to what your website is about, and feature them in various website pages alongside of your primary revenue stream. You can sell an unlimited number of products on your website. You are automatically registered as an IA affiliate when you have an Income Activator website. This means when any visitors from your website go to get their own Income Activator website you’re paid $30. To show this page on your website simply unhide your Income Activator page. Learn more about making money through Income Activator's Affiliate Program.